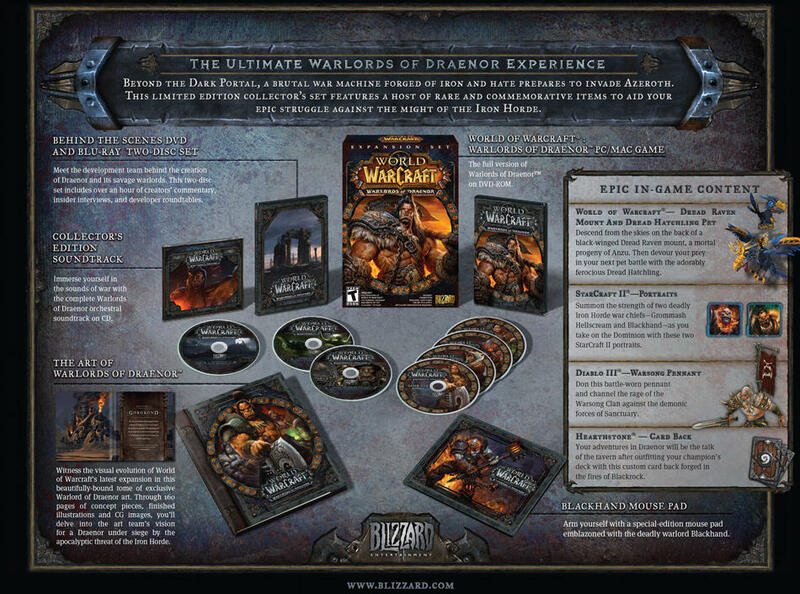 So what's in the World of Warcraft: Warlords of Draenor Collector's Edition? So what’s in the World of Warcraft: Warlords of Draenor Collector’s Edition? First off that is a mouthful! Well kiddies now that we know the release date of Blizzard’s Warlords of Draenor we can all run out and spend our hard earned cash (or a friends or family members) on the copy. But hold on there for second! You know aside from the standard and digital editions, there will also be a Collectors Edition. If you’re new to this, Blizzard ALWAYS has a Collectors Edition of their game and this being the next chapter of the World of Warcraft series, this is no exception. I’ll tell you up front that the Collectors Edition is going to set you back $89.99 compared to the $49.99 of the Standard or $69.99 for the Digital Edition, but boy oh boy it’s worth it! What’s that you say? You don’t believe me? You want proof? Well proof is what you’ll get. So what’s in the Collectors Edition? Instant level 90 for new or existing characters – Got a lowbie and want to get to level 90 in a hurry or been thinking about changing your main? Is your interest peeked now? I’ve figured as much and now that you know, make sure to head on over to either Amazon.com or Gamestop.com to secure your copy. Besides, between me and you I’m a sucker for a good art book and this one will not disappoint for what I’m hearing. 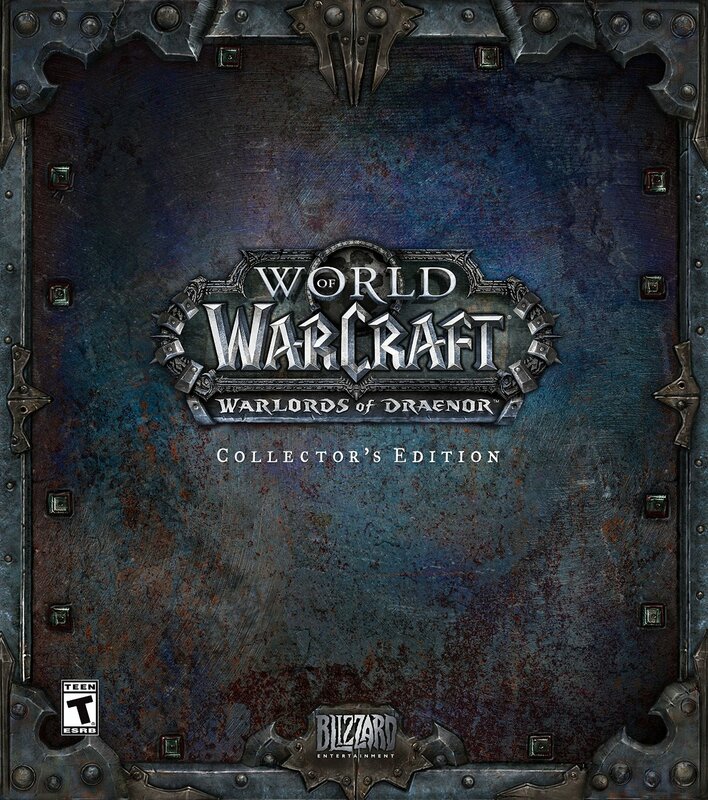 The World of Warcraft: Warlords of Draenor launches on November 13th, 2014.